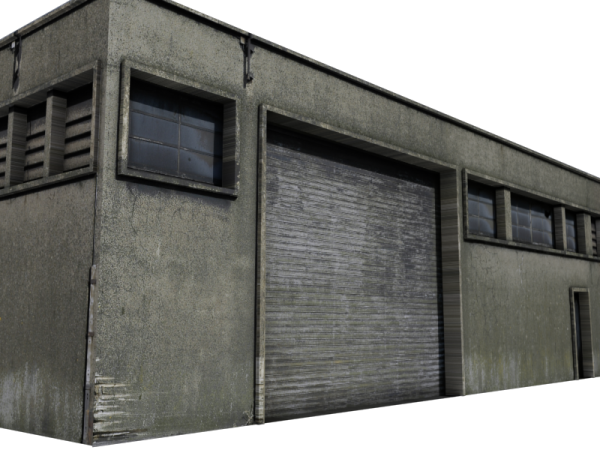 An old industrial building, low poly ideal for games. Polys count: 870. File format: Max, 3Ds, Obj, Fbx. Enjoy it! JohnyT (3 years ago) Inappropriate? Can use that in a non-commercial game mod? ChrisNamaste (3 years ago) Inappropriate? Ian Bennett (4 years ago) Inappropriate? Thank you for this. It is going to make a great addition a addition to a matte painting I am planning. many thanks for this share great model....and texturing. Adrian3dartist (7 years ago) Inappropriate? Latexluv (8 years ago) Inappropriate? Xerosigma (8 years ago) Inappropriate? I absolutely love the texture on this thing. Reminds me of Resident Evil.